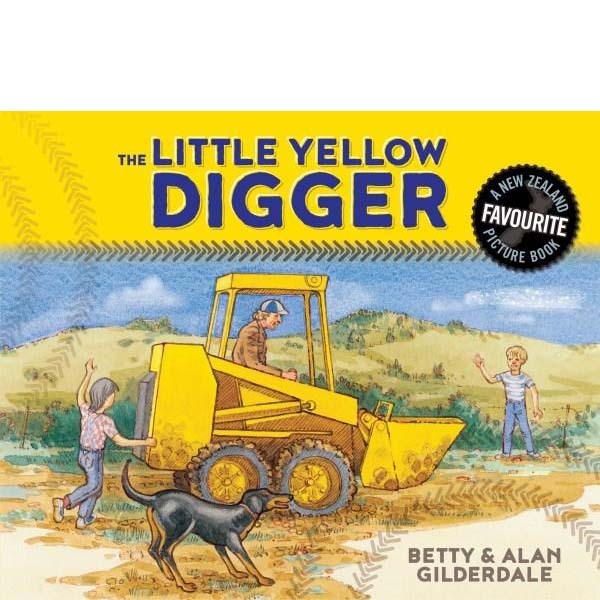 Betty Gilderdale, author, critic and a founder member of the New Zealand Children’s Literature Association, wrote The Little Yellow Digger after a similar situation occurred at her daughter’s home. The illustrator of this book, husband Alan Gilderdale, was an art lecturer, artist and printmaker. This favourite New Zealand picture book has become a classic.